The YT Capra launched today with an 1980s style horror movie called ‘Return Of The Goat’. 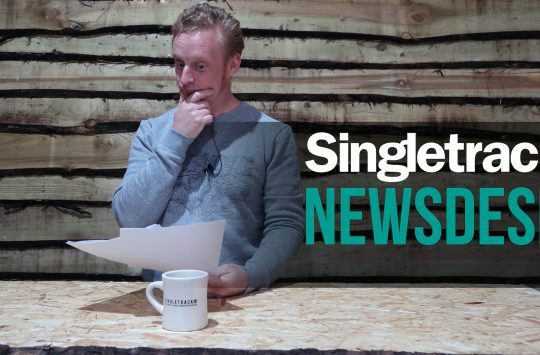 It’s a full on cinema style production, with language that you might not wish too play too loudly in the office. As with any ’80s horror, the story line is completely bonkers and there is a screaming woman. There’s wide eyed fear, some scary dude in a van (Actually, it’s a full on death wagon. If you ever see anyone in a van like that you probably should ride as far and fast as you can), and a bit of conveniently timed thunder and lightning. There’s a man in a goat’s head – although the goat does in fact blink, so maybe it’s a goat on a man’s body? 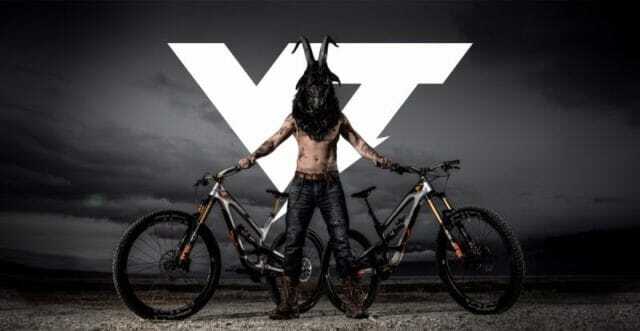 ManGoat/GoatMan does something horrible to some bikes, but for a 12 minute bike promo there is actually very little by way of riding in it. And for the 160mm/180mm bikes that it’s promoting, it has a very trail riding feel – there’s no death gnar, just the death wagon. We’ll let you watch the movie to see how it all ends. Longer, lower is the name of the game here. 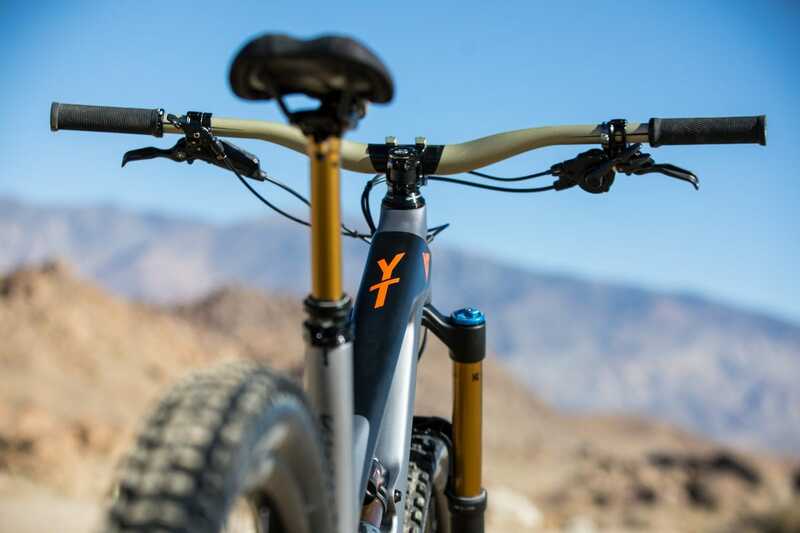 As the previous generation Capra was starting to show its age compared to some of the more modern bikes, YT has increased the reach across the range, added a new XXL size option, and dropped standover and seat post length at the same time. Other mod-cons include a metric shock and boost hub spacing. Now with metric shocks and improved suspension curve to boost off the top sensitivity. The Capra is now available in two wheel sizes. 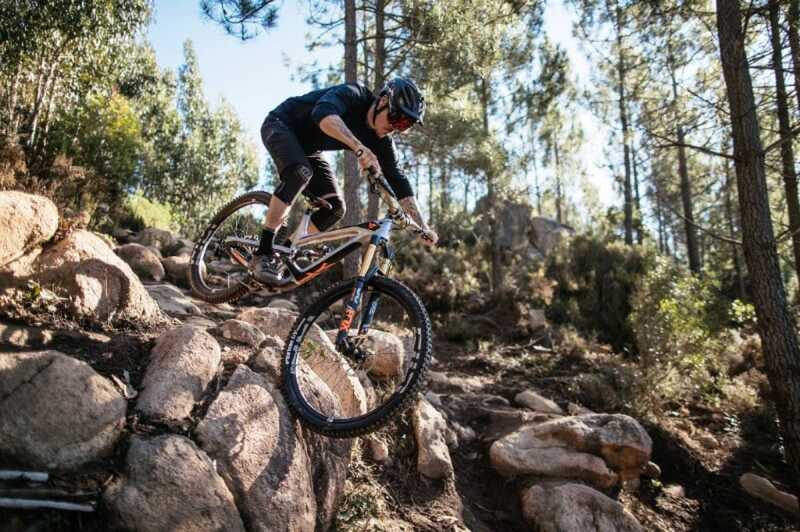 The top of the range carbon fibre Capra 29 CF Pro Race and Capra 27 CF Pro Race will retail at £4,699, while the base model alloy Capra 29 AL and Capra 27 AL will cost you £2,299. In all there are seven models in each wheelsize, two of which are alloy and five of which have a full carbon front and rear triangle. 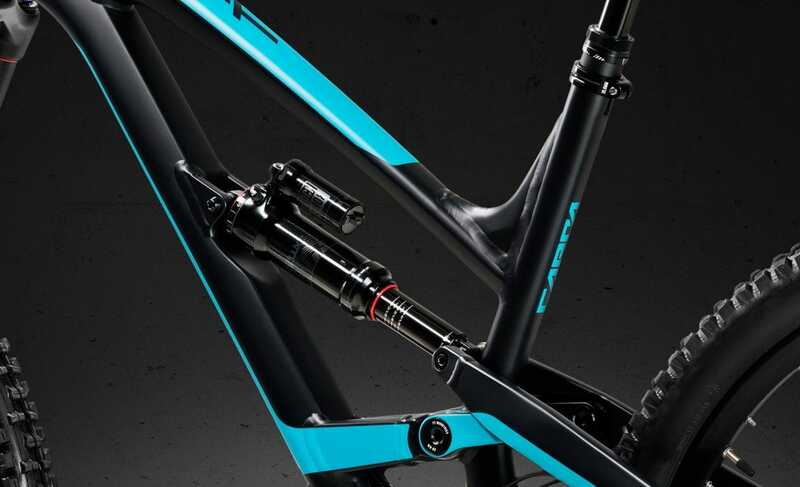 The 29ers have 160mm travel forks, while the 27 range has 170mm travel up front, except for the CF Pro Race tier, which adds an extra 10mm of travel to both wheelsize options. 180mm travel? I see your death wagon and ride over it. The updated carbon chassis is around 15-20mm longer than the previous frame. 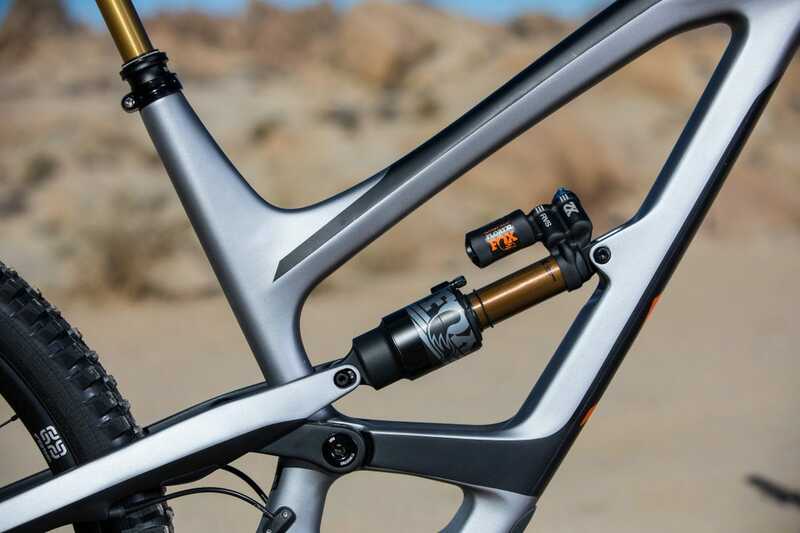 With so much travel on tap you might wonder how the new Capra would cope with a downhill fork installed, well YT has thought about this and although they won’t be speccing this enduro ‘weapon’ with a dual-crown fork, they have tested the frame to the same standards and with the same stress testing as the TUES downhill bike, so it is possible. This also has us wondering if a 29er Capra with DH fork might be seen under Aaron Gwin during the WC in 2018? 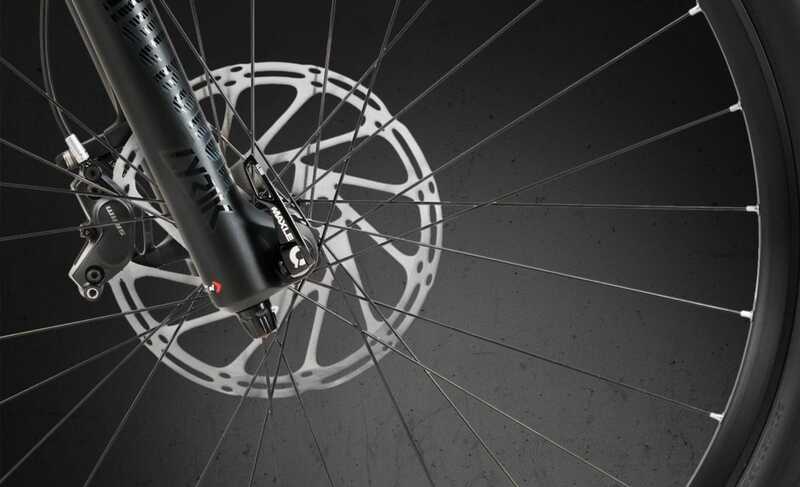 While you might think that the only difference between the Capra 29 and Capra 27.5 is wheel size, YT assures us there is more to it than that. 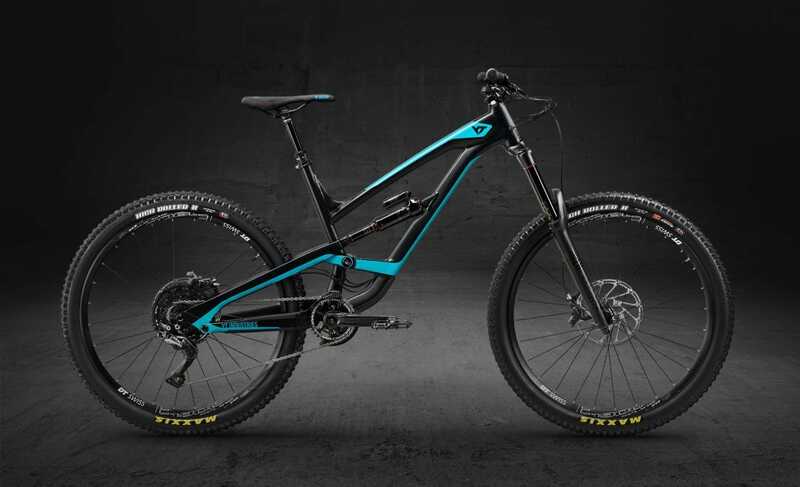 As this is the first time the Capra has been offered in a 29-in package the frame is completely new from the ground up and even features a slightly different suspension tune to the smaller wheeled model. 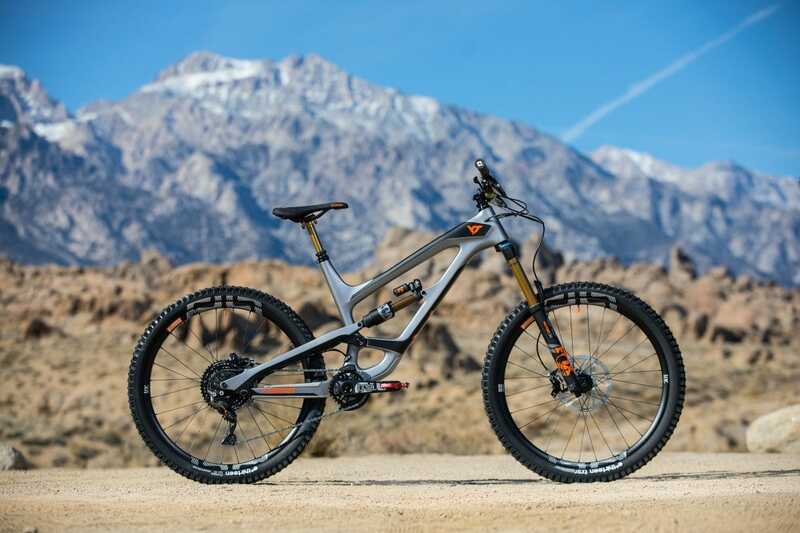 The 27.5 model has been designed to soak up the worst that a rugged enduro course can dish out, and so has the 29er only in a firmer and more efficient way. We’d love to ride them back to back to see what the differences mean on the trail. Claimed weights (for size S) are 13.2kg for the 27 CF Pro Race, and 13.5kg for its 29er equivalent. The alloy 29er base model is 14.4kg, or 14.1kg for the 27 AL. The Capra 27 will be available in five sizes, S-XXL, with the Capra 29 missing out the size S and starting at Medium, recommended for riders 1.64m and taller. No SRAM drivetrain but they still provide forks and brakes on some models. For their 2018 CAPRA, YT is introducing what they’re calling “YT Tailor Made”. A low seat post height is offered in combination with seat posts that are specifically matched to each of the bike sizes. This allows riders to choose between two or even three different frame sizes for their body height. So if you prefer a longer reach, you can size up. 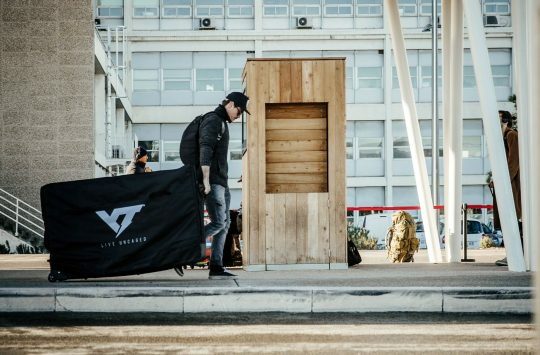 It’s certainly an interesting development in sizing, and no doubt one which is facilitated by the increasing availability of longer travel dropper posts. E*13 11 speed offers 11% more range. 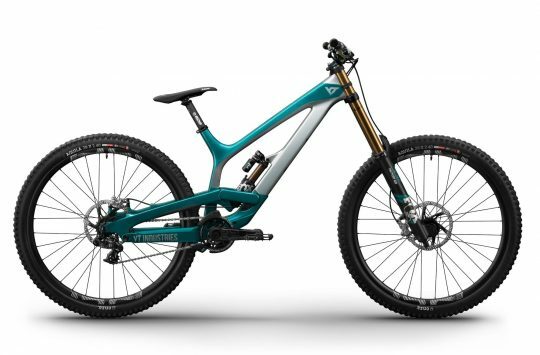 In a change from many bike brands, YT has opted to go for an E*13 drivetrain for the Capra as it has with the 2018 Jeffsy range. 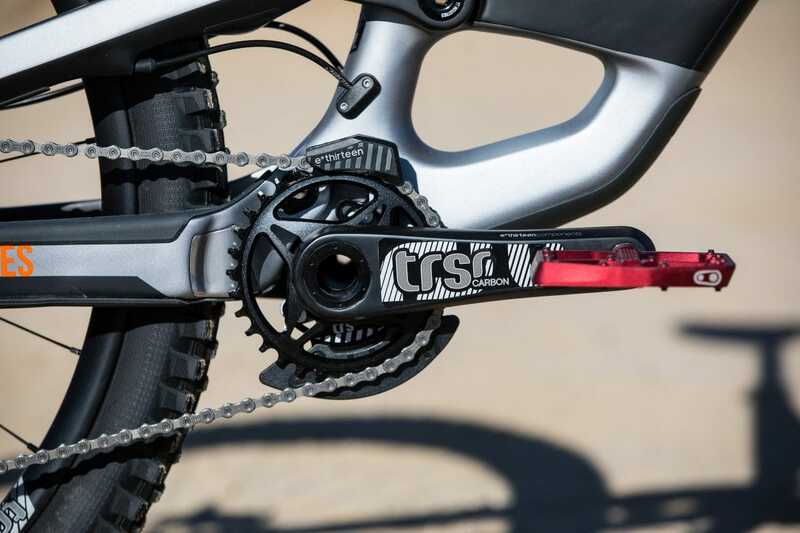 This offers a 1×11 set up with 511% gear range, which YT claims is lighter, more durable, and easier to adjust than the 12 speed SRAM Eagle options. With a spot of somewhat questionable mathematics, YT says this extra 11% range will give you at least 11% more #GoodTimes. We can’t help but wonder, what it the correct unit of measurement for #GoodTimes? Is it inversely proportional to the amount of blood drawn? Directly correlated with the volume of #HellYeahs? What does the hidden message say? If that’s not the head of a goat and an inverted skull of death in there, we’re not drinking the same thing as you. 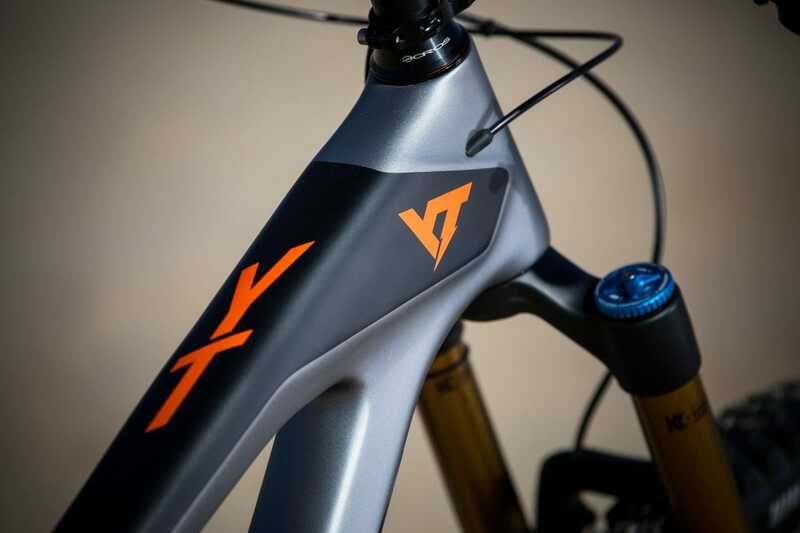 Back in the land of the less brain warping, if you want to know more about this bike then hop on over to the YT Industries site. I so wish i hadn’t seen that film. now i’ll be too scared to go out on my bike unless i trade it for a capra. mind you, it does look cool as f@ck and the alloy version is pretty reasonable…doh!